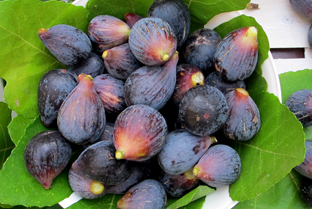 Figs are available within the months of June and July, according to the variety. Even this product is grown in compliance with the principles of an integrated agriculture and a low environmental impact. Once the figs reach the harvesting period, they are brought by the producers in our gathering places, located in Bisceglie, Molfetta Terlizzi. When the product arrives to the warehouse, it enter the cooling tunnel and after the figs have reached the right temperature, we move on with the handmade calibration. Later we proceed with the packaging according to the clients’ requests (wooden boxes with cellular trays or baskets).